Discoveries Archives - Patent my French! Patent eligibility has been quite a hot topic in the U.S. since the Alice, Myriad and Mayo Supreme Court decisions. Whether a patent simply attempts to preempt an abstract idea or a law of nature or whether it is truly directed to an application of those – worthy of patent monopoly – is, as far as I can understand, the million-dollar question that everyone now has to struggle with on the other side of the Atlantic, and will have to struggle with in the foreseeable future. Over here, on the Old Continent, things look pretty different, on the face of it. The EPO has set a low threshold for the so-called “technical character” requirement, actually such a low threshold that it is barely a threshold at all. Of course, this is not the end of the story, because “non-technical features as such, do not provide a technical contribution to the prior art and are thus ignored in assessing inventive step” as the November 2014, soon-to-be-revised Guidelines for examination nicely put it. So, inventive step can be a real challenge, but patent eligibility is at least one concern that applicants can forget about, right? Well, we may have to think again, in view of a judgment from the Paris Tribunal de Grande Instance (TGI) of July 3, 2014. This case is an action for revocation brought by a company named Evinerude against French patent No. FR 2822237 assigned to Aair Lichens. According to the first and only claim of the patent, the invention relates to the use of lichens exposed to sources of emission of chlorinated compounds, and used in the form of transplants or cultivars, for making quantitative measurements of polychlorodibenzodioxine (PCDD) or polychlorodibenzofurane (PCDF) compounds and evaluating their impact on the environment. Indeed, it turns out that lichens are good indicators of the presence of PCDD and PCDF air pollutants. Thus, by measuring the amount of these chemicals in lichen samples, it is possible to evaluate the level of atmospheric pollution that they have been exposed to. An elegant breathing device which could become handy in case of a polychlorodibenzodioxine or polychlorodibenzofurane leak. It looks like the PCDD and PCDF-loaded Parisian air was not favorable to Atlantic coast-based Aair Lichens, since the TGI revoked the patent based on Article L.611-10 of the Code de la Propriété Intellectuelle, which mirrors Article 52 of the European Patent Convention and provides a list of things which are not inventions, discoveries being the first item in the list. A mere discovery cannot be patentable. Actually, the discovery preexists man’s intervention, whereas the invention is the result thereof. A discovery thus does not bring any novelty to the state of the art since it is at the stage of sheer knowledge. However, although the subject-matter of a discovery is not patentable, a practical application can give rise to the grant of a patent. As it is drafted, the only claim of the patent does not protect the process steps but merely the statement that measurements can be made to evaluate the impact on the environment, which is not a process invention. The technical means for carrying out this statement could be protectable if they were described and claimed as such. 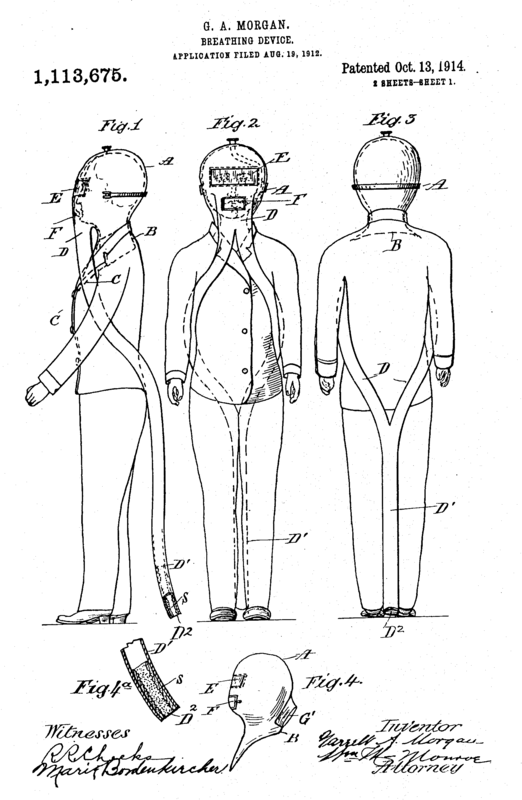 The patent was thus revoked. To me, this looks more like a US-type approach than an EPO-type approach. After all, it seems that the court’s reasoning could be applied in a similar manner to many use claims which are routinely granted by the EPO. An important caveat is that the patent at stake was somewhat light, with four pages of description and a single claim. It appears from the file wrapper that the application was drafted and prosecuted by the inventor himself, which is always risky. In fact, it is not every day that one comes across a claim starting with the words “the invention relates to”. The text does contain an example of measures performed in samples taken from various geographical areas, but there are no detailed explanations in the text on a possible process to be implemented. Also, the court noted that the skilled person, at the filing date, already knew that the pollution of a site by PCDDs and PCDFs results in atmospheric contamination, and that these compounds are easily absorbed by plants such as lichens [sic, I am not sure lichens can be considered as plants] so that these are good pollution indicators. In other terms, one could infer from the court’s findings that the patent could also have been revoked for insufficiency of disclosure or lack of novelty or inventive step. It is difficult to assess to what extent these flaws played a part in the TGI’s decision. Would the situation have been different if the patent had contained more technical information or if the prior art had been less relevant? It is certainly possible. But on the other hand, the way the claim was drafted did seem to play a critical part in the decision. Therefore, when an invention relates to an application of a natural phenomenon, applicants would be well advised to draft at least some claims reciting the invention in terms of practical process steps and not just use claims broadly covering the basic concept of the invention. CASE REFERENCE: Tribunal de Grande Instance de Paris, 3ème chambre, 1ère section, Evinerude SARL v. Philippe Giraudeau & SARL Aair Lichens, July 3, 2014, RG No. 10/14406.